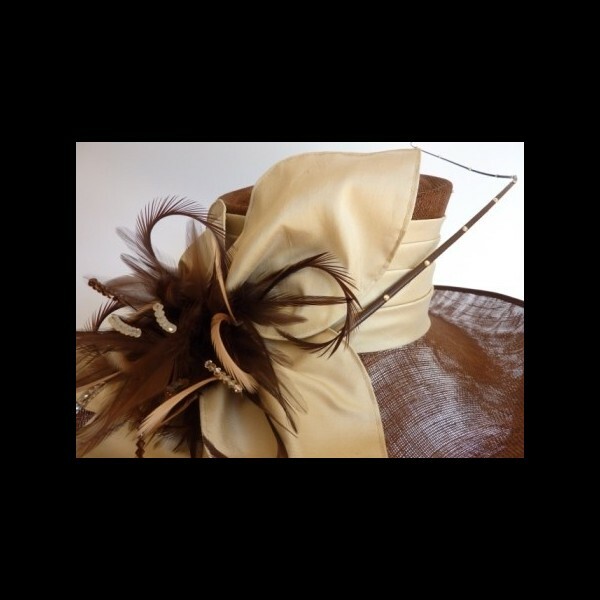 Chestnut brown sinamay the crown has a pleated band of golden beige silk dupion. To one side are five handmade silk dupion petals forming a large flower, with Swarovski crystal stamens in smoked topaz, golden shadow and sand beige. In addition there is a riot of rich brown hackle feathers and brown and beige biots. A large east to west brim measuring 48cm/19” from side to side and 37cm/14.5” front to back. A crescent shape indented in the top of the crown. 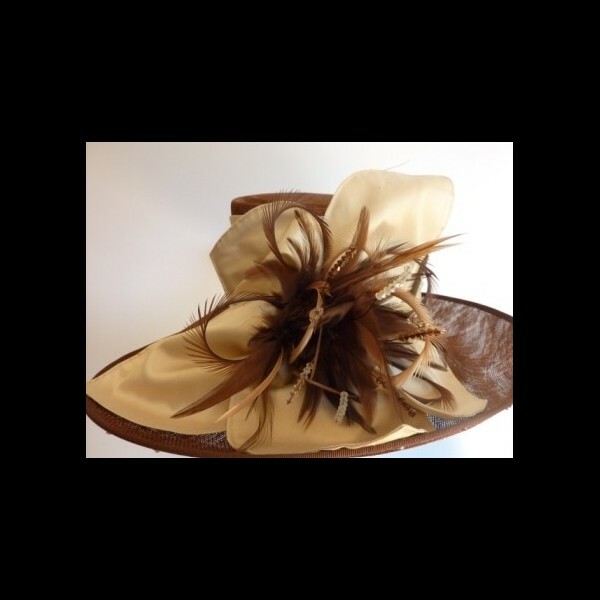 In Chestnut brown sinamay the crown has a pleated band of golden beige silk dupion. To one side are five handmade silk dupion petals forming a large flower, with Swarovski crystal stamens in smoked topaz, golden shadow and sand beige. In addition there is a riot of rich brown hackle feathers and brown and beige biots. 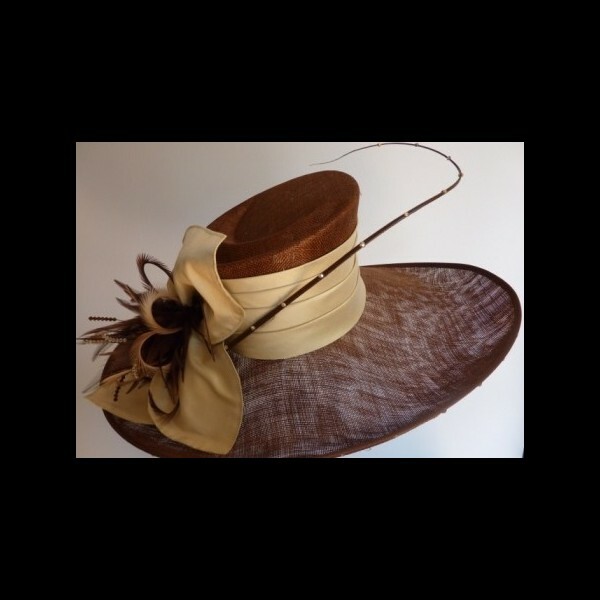 The hat is completed with golden shadow crystals dotted around the upturned brim. 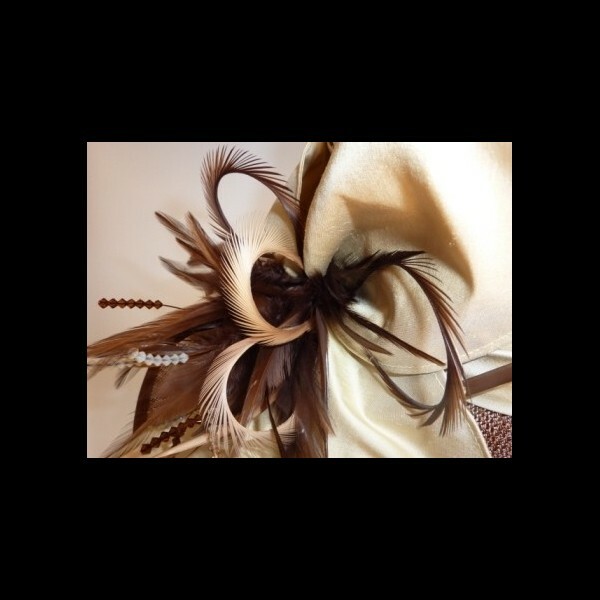 A single brown curled quill dotted with crystal emerges from the petals. Sinamay & silk dupion colour samples available on request. 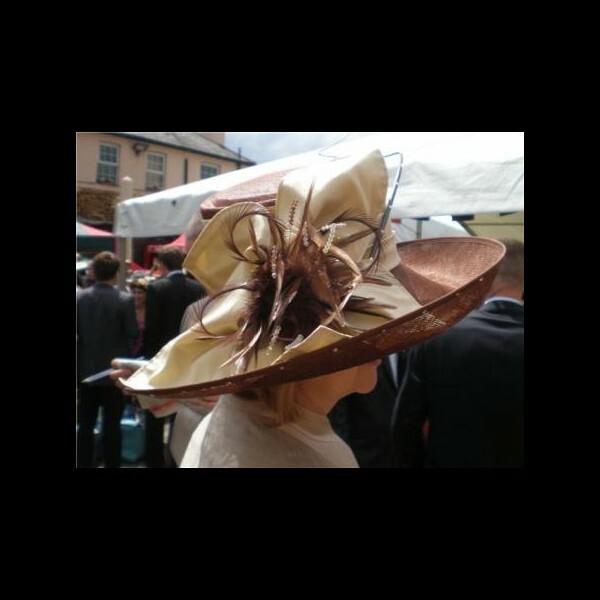 This hat has been lined with velvet ribbon around the crown to make it fit a smaller size head - 54/55cm.